Giving a soft laugh, Julian picked up his jacket again tugging it on and pushing his hands into his pockets. "There's never too many questions." Confident that the mare was fine now, he gave her a warm feed, and began to head back to the house, explaining from the beginning like she'd requested. Hungry now, he made a simple snack, offering her some as well. Eventually finishing his explanation, he tilted his head. "Does that answer your questions? Or are there any more specific ones that you want to know about?" He wasn't worried about waking Claire and her lover, having made a fairly good guess that they probably weren't yet properly asleep. "Hungry?" Half shrugging, he ate the cheese on toast himself, settling down near her. “You were a good help tonight,” he said absently. “Thinking about staying around? I could use your help a lot, now that Claire’s off and wandering on her own.” Leaning back, he tilted his head to the side a little. “The horses like you too, and you’re very good with them now. It’d be good to keep the extra pair of hands around. If you want to stay, of course.” He wasn’t going to force her to stay, she was after all very attached to her brother. Watching him tuck into the food out of the corner of her eye she silently listened as he spoke, it almost sounded like he actually wished for her to stay. Which for some reason changed things, suddenly feeling almost torn for some reason, her brows creased and she studied the bench with sudden intensity "I do not understand" she murmured quietly brushing her fingers over the smooth surface in an attempt to find a way to soothe herself from the distress that was starting to build inside of her. The bench's surface didn't help and thus her fingers brushed down to her comfortable pants that she always wore the worn fabric familiar and soothing enough that her shoulders relaxed. 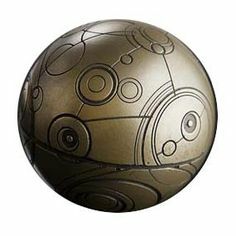 "You want me to stay, and I do, but Three hundred, nintey two hours and " she glanced at the clock "Forty three minutes is too long for him to be on his own"
Finally he’d managed to get the orb working. Wandering out of the glade of trees he’d been holed up in, Killian went in search of his sister, wondering where she’d be so that he could let her know. It’d been a few days since he was sure that the stockman had spoken with her, and he wasn’t yet sure what her decision was going to be. Finding her in a paddock with some of the horses, he watched her from the fence for a moment before letting himself in and wandering up to her. “It’s fully working now,” he murmured, touching her shoulder briefly. “What are you going to do?” He’d given up trying to convince her to stay, and it was all up to her now. He was desperately hoping she would stay. He needed her here to give him a good guide of what time he’d need to come back, since he wouldn’t be able to sense her shadow until she showed up here. But he wasn’t going to force her. If she wanted to come back with him, then he wasn’t going to argue any more. Watching the horse absently, he played with one of his younger shadows, waiting patiently for her response. He wasn’t sure where his Claire was, but he’d find her in a few moments, once he was finished talking with Mel. Claire didn’t deserve to just have him vanish on her, so he’d find her, talk with her, and then wander off to use the orb and go back to his own time. Alkira and the shadows had learned everything that they needed to know about her childhood, so he knew what he was going to do with her. Everything was going to be fine in the end. Still worried about her first mate, Skye had almost given up on him returning to the ship. It had been months, and he wasn’t back, nor had he sent any word, and she was inclined to think now that he’d just skipped out, though she suspected it was something worse. In any case, the landlubber that had appeared had finally gotten some sealegs, and was moderately useful on the ship. She was almost fond of him, too, and sent a wry glance over at him from her spot at the wheel. Somehow he’d managed to remain almost gentle and carefree, still quite soft hearted in her cutthroat crew, but he’d survived, and managed to worm his way a little into being in her tiny group of people she considered a friend. Nathan was quite happily sitting on deck with his feet resting on the step below him as he in vain tried to get the stupid solar charger to work to breathe life into his ipod. He missed his music, eventually giving up he tucked it away and pulled out his camera carefully not wishing to ruin the expensive thing with sea water. Somehow it'd survived fairly well these past few months out at sea, going through the pictures on the digital camera a thought came to him, tucking it away and bringing out the older camera that was one of his favourite posessions he picked a sunny spot and took a selfie. Watching as the photo was printed out he took it and waved about so it dried, inspecting it and quite pleased with the result he set it down next to him putting the camera away. Hating to see him go Melissa accepted the second hug holding onto him tightly so he wouldn't forget what her hugs felt like. Watching him go she slowly picked up the brush and feeling strangely empty found she couldn't continue with what she'd been doing, quietly she released the horse back into the paddock and put the items away wanting to find somewhere quiet the girl became a bird and took to the heading out towards where there definitely werent any people. She didnt' want to be around anyone right now, unused to the pain that was her heart aching, the assassin vanished into the sky. Straightening up as arms snaked around her, Claire guessed who it was and leaned back into the hug her slight smile fading at his words, already? She wanted to say, instead she turned around in his grasp and clung to him, "Of course, but i think it'll be Jules she goes to. Not me" Melissa most of the time treated claire like she didn't exist which was fine by claire as she just assumed Melissa didn't know how to handle her. She didn't know how long it'd be before she saw him again, and the idea hurt more than she could have anticipated, half wishing that she'd never let him into her heart she bit her tongue sharply leaning her face against him as well. Looking up at the familiar noise Nathan just grinned up at her "They're Photographs" he reminded Skye for what felt like the millionth time lifting the camera out of the bag he studied her a moment and took one of her. Pulling it from the camera and waving it around again he studied it and nodded "Thats a good one, when you take a photo of yourself its called a Selfie" he had no real clue that the photo he'd just taken would bethe only proof he had in the coming months that she was real. Deciding that he'd keep it he tucked it into his bag with a shrug before for the first time offering her the camera to try "To take a photograph you press that picture, and look through here to see what you're taking a photo of"
Nuzzling into her neck, Killian closed his eyes, wanting to stay with her so much. He tightened his hold around her, wishing he could stay. “I’m sorry,” he murmured, kissing her neck before pulling back to search her eyes. “I’ll keep track, you won’t be waiting long. I promise. I’ll be back tomorrow. Maybe even this afternoon.” He tried a smile, and rested his fingers on her cheek gently. “I’ll stay safe for you seasprite. Stay safe for me as well?” Acutely aware that every moment he stayed was making it harder for them both, he couldn’t stop himself from holding her, wanting to remember what her hugs were like, just like he had to remember what his sister’s were like. Kissing her, he rested his forehead on hers, shutting his eyes. “I love you,” he whispered, tightening his hold around her. “I’ll be back for you. I promise.” Kissing her again, he pulled away at last, studying her intently. He had to remember her. Brushing his fingers down her cheek one last time, he turned and left her, heading for the hills. He’d already spoken with the ginger mare, so there was nothing else left for him to do. With Alkira faithfully at his heels, he vanished into the trees, eventually coming to a stop and pulling out the orb to fiddle with it. Getting it into the right alignment, he refused to look over his shoulder back at where he’d come from, and did what was required to take him back. Finally finding himself back on the boat, he tucked the orb away safely, and got about the business of finding his captain. Grinning at his reminder, she swung her feet while he took the photo, taking the camera and inspecting it curiously. Trying out what he’d said, she aimed it at him and pressed the button, laughing at the face he made. Only a few seconds after that, the whole ship rocked violently a second and she toppled to the deck, holding tight to the camera to keep it from breaking. Getting to her feet, she found that he was gone, and something in her heart hurt before she locked it away. Picking up the photo that she’d taken, she studied it, slipping it away when she heard footsteps behind her. Turning, she froze at the sight of Killian before flying into his arms, hugging him tightly and burying her face into his shoulder. She’d missed him so much. Feeling the hug being returned, she didn’t bother to ask what the heck had been happening. He’d tell her what he could later, when they were alone. Watching him intently, Claire showed no signs of wanting to let go, "Don't make promises you aren't sure you can't keep" the female warned him ignoring his smile. Leaning her head into his fingers the familiar nick name summoned tears to her green eyes "Safe and sound" she agreed returning his kiss fiercely. Internally she didn't believe that he'd be back that soon, nothing worked that easy, nothing went that smoothly either "I love you too" she replied softly returning the last kiss she made it last as long as she could. Doing her best to not let herself cry until he'd gone she sat down in the mostly clean straw and hid her face in her knees for a few moments trying to get herself under control, everything would be fine she told herself. Manging to get herself under control she got up and finished mucking out the stables, working with the horses for the rest of the day she picked the ones to work with that need a good work out and didn't come inside until after dark. Heading straight for the shower she stayed there until the water went cold. Mel didn't come back at all until the net morning. One moment he'd been grinning at her as she tried the camera the next he was on the ground and tasting something metallic that turned out to be blood from where he'd bitten his lip. Looking around he remembered where was, this had been the forest he'd come to take photos of when he'd been spirited away. He'd miss stepped and had been in mid fall when he'd been taken to where the ship was, getting up he idly brushed the mud and leaves off of himself wondering if he'd just been dreaming. Remembering his cameras he cursed and checked them sighing when they were all okay, the polaroid one was gone, she'd had it when he'd been taken, at least it was some proof he hadn't been imagining the ship, imagining her. His ankle throbbed and finding he couldnt put any weight on it Nathan rubbed his bristly short trimmed beard before managing to scrabble back up on the slope on one leg and two hands. At the top of the slope he found a sturdy stick that'd do to help him get back to his car, managing to return there he stared at the dirt and leaves that coated it as if he really had been gone for months. Finding a motel it wasnt until after he'd had a soak that he found the photo of her he'd tucked into his pocket, sitting on the squeaky cheap bed he stared at it unsure of what he felt. Concerned about his daughter, Julian went to find her when she didn’t turn up for dinner. Finding her in her room, he said nothing, simply sitting on the bed next to her and wrapping his arms around her tight. There was nothing he could say to her that could help ease her pain, not yet. But he was always going to be there for her. Humming softly to her, he hugged her closely, giving her the opening to cry and let it all out if she really wanted to. Having given Killian the night off, and given the night shift to another of the crew, Skye curled herself in her cabin, locking the door against everyone else. Killian had told her what he could, and so she was sure that she wouldn’t be seeing the landlubber she’d grown fond of again. Curled around her fox, she studied the photo she’d taken of him before he’d vanished, scolding herself for opening up again. This was what always happened, she always got hurt. Vowing never to do it again, she eventually got up to tuck the photo and strange camera into a drawer for safe keeping, a tiny part of her vainly hoping that she’d one day see him again. Trying to ruthlessly squash and kill that part, she spent the rest of the night and most of the next day holed up in her cabin, working herself through it and trying not to miss his goofy smile. She had Kilian back now, and they could get back to properly pirating the seas for a good few more years before she settled down as the hatter. In a small concrete room, sparsely furnished a little girl sat sobbing, her palms a painful bright red from where she'd been disciplined with a silver cane. She hadn't meant to disrespect her grandma, she didn't even know how she had, rocking back and forth trying to comfort herself as best as she could her dragon slipped out from underneath the bed and nuzzled her licking away her tears with its raspy forked tongue. Cold, sore and hungry, the little girl with jet black hair and bright green eyes trembled, she just wanted it to stop, only about three or four the tiny girl had no idea that there was kindness in the world, no idea that what she was going through wasn't normal. "Bad bad bad bad bad bad, very bad girl" she whispered to herself continuing to rock back an forward in an attempt to calm herself down. He'd been exploring Ices facility for a while, dropping in and out to visit the horse turned Rose and make sure that she was okay while they tried to work out a way to get her free. Internally knowing that he wouldn't manage it, Killian hadn't let her know that, and now that he'd finished speaking with her for this visit, he was exploring. Poking around, he found a room that had no door, and exchanged a glance with his jackal. It had to be Claire's room, it was exactly like River had described to them so long ago. Moving himself and Alkira into the room, he stayed near the wall for a few minutes, watching the tiny girl with pain in his gaze before he managed to hide it all away. "Are you alright?" he asked softly, keeping his voice gentle so he didn't scare her. He wanted to just go to her and hold her, but she had no idea who he was, and he had to keep it that way. Jumping at the voice she looked up at the stranger with tear filled eyes, scrabbling back against the wall, her dragon stood infront of her growling warningly at the man. They were both so tiny and small, more than helpless against him or anyone else, wiping the tears out of her eyes with her hands she drew her knees up to her chest and stared at him shaking. She'd never seen whoever this was before, she'd never seen a male before, reaching out she hugged River tightly not knowing what was going on, she didn't want river to be taken from her agian that'd been awful and so very painful. She didn't answer the question soft sobs still escaping from the tiny girl, one day far in the future she'd become the outgoing confident woman that Killian had fallen in love with, the Claire before him was vulnerable and small, clearly scared of him and considering hiding under the simple brass bed. Exchanging another glance with his jackal, Killian hesitated and then shrugged his jacket off, the same one that Claire had given him a few months ago, but also so far into the future. Leaving Alkira to lie on the floor comfortably, he crouched in front of the tiny girl, settling the warm jacket around her. “It’s okay, Claire,” he said softly, the name slipping out of him before he realised. Unable to take it back, he moved back a little to give her space. “I won’t hurt you, or your dragon.” Unsure what to do now, he stayed quiet, letting her grow used to his presence before he scared her even more. Sniffling still she finally managed to stop crying for now "shoulder hursh real badsh" she finally said wriggling to show him her freshly pressed into her skin brand over her left shoulder blade. The skin was red, weeping and inflamed, Ices mark pressed into her skin where it'd stay, the cold air made it sting making her return to sobbing. It hurt so much she didn't understand what she'd done to deserve it, she'd trie to be so good for Ice and yet she'd been punshed, ice had said it was a gift were all gifts supposed to be painful like this? She didn't really know, her heart wrenching sobs continued as she hugged her dragon again hiding her face in the creatures familiar scales. Moving to sit next to her, he let his shadows move over the brand carefully. Flinching at the silver that he could sense, he gave a sigh. Unable to heal it or block the pain of the silver, he at least managed to block the pain of the burn, tucking the jacket back around her shoulders. “Does that feel a little bit better?” He hoped so. Taking the risk, he slipped his arms around her and hug her and the dragon close, giving her the chance to cry into his shirt if she needed the comfort. “Do you want a story?” Maybe it would help distract her, and he knew how much she loved the sea and pirates. It wasn’t like he’d be at a loss of stories to tell, between what he’d done and what his captain had done, he should have plenty of ideas to keep her occupied until she fell asleep and he left for the day. Settling her comfortably on his lap, Killian looked down at the little thing, taking care not t press hard on the fresh brand. “That’s my heart,” he told her. “Everyone has one make the thump noise, even River. Maybe you’d be able to listen to hers later.” Ruffling her hair gently, he considered what stories he’d be able to tell. “What sort of story do you want? I know lots of pirate ones if you like those. Or I can tell you about some horses if you don’t want to listen about the sea.” Moving backwards on the bed so that he was leaning against the wall, he kept her safe in his arms, keeping an eye on Alkira for when Ice might turn up. He was going to have to be so careful coming here for Claire. It would be so easy to get trapped and bent to her will again, and he couldn’t let that happen.